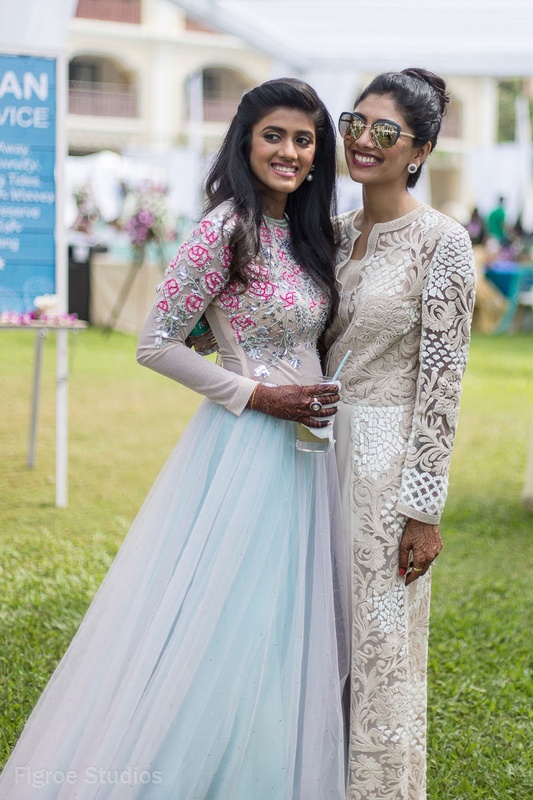 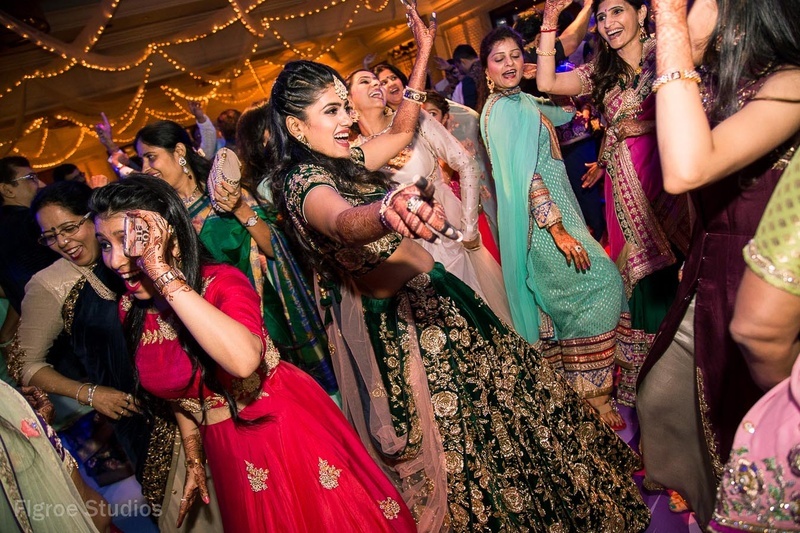 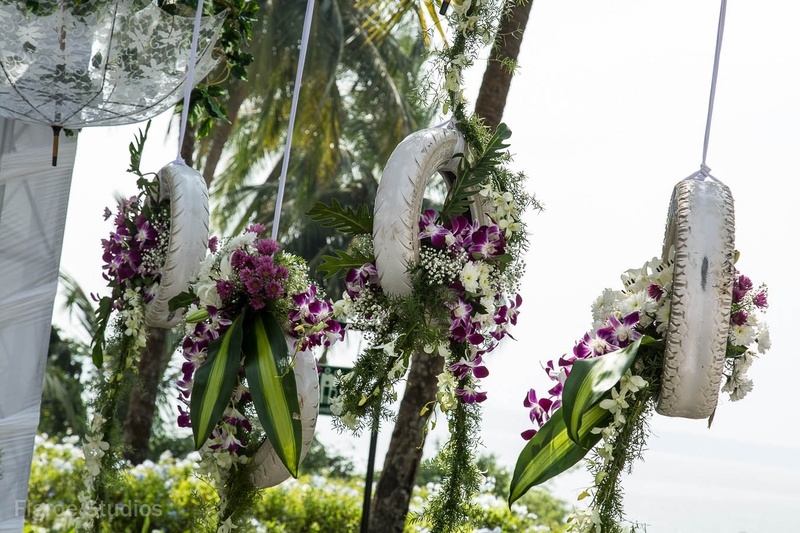 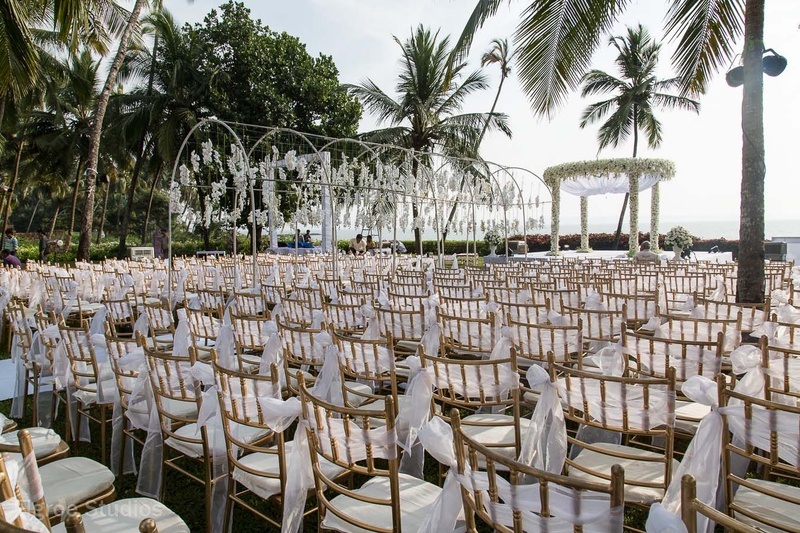 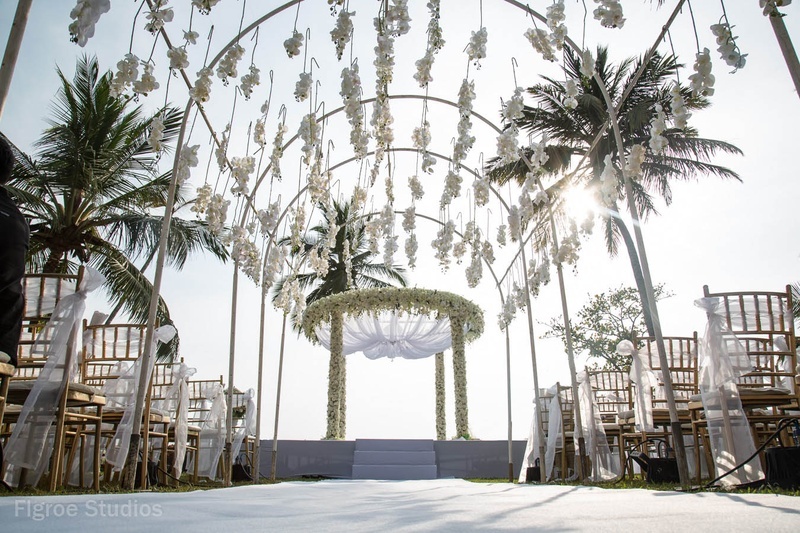 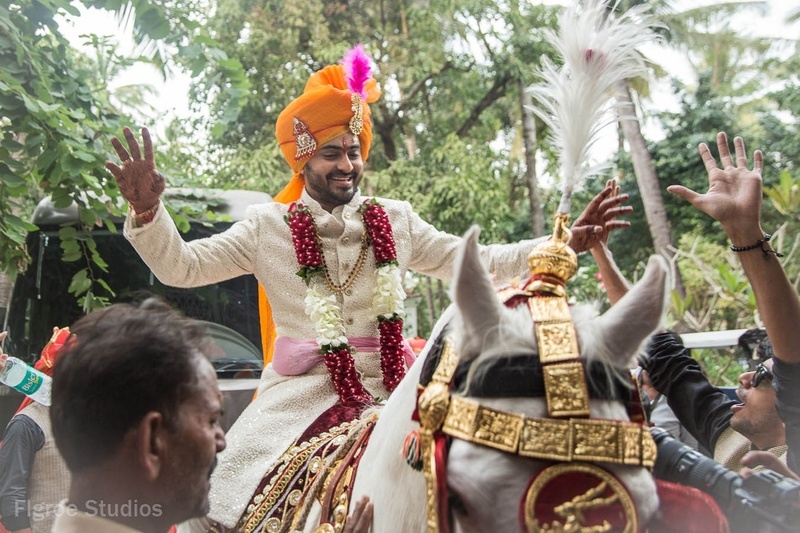 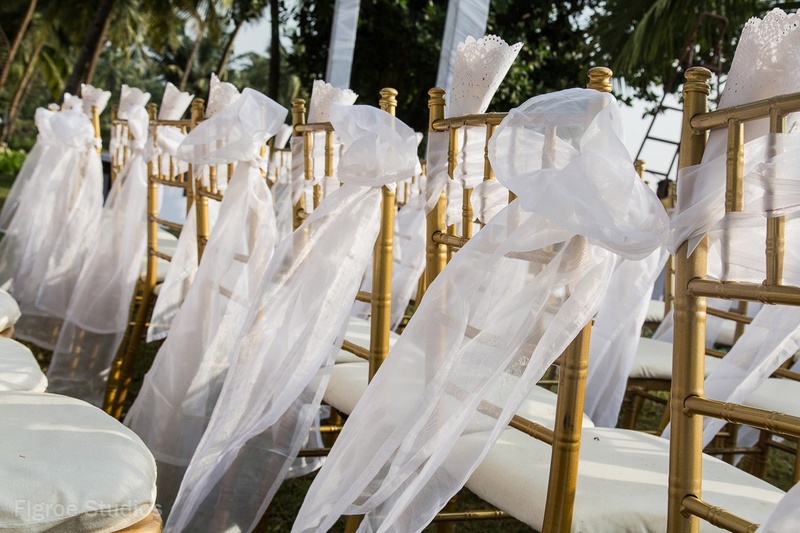 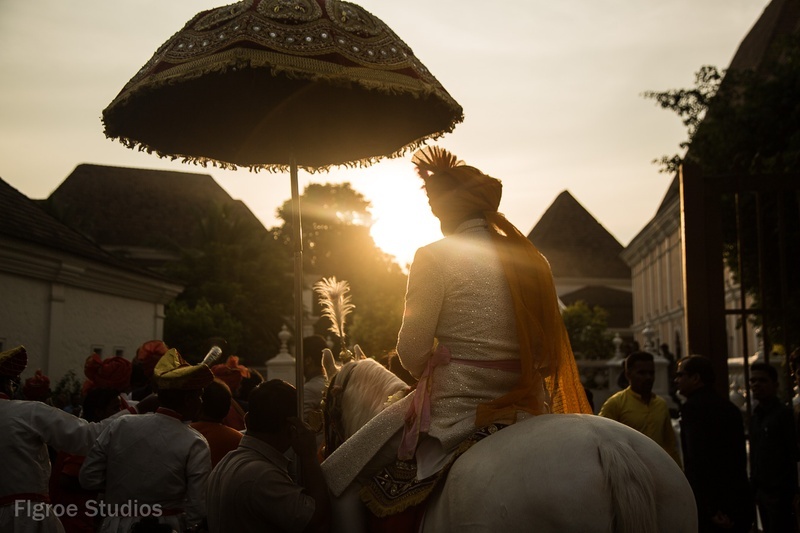 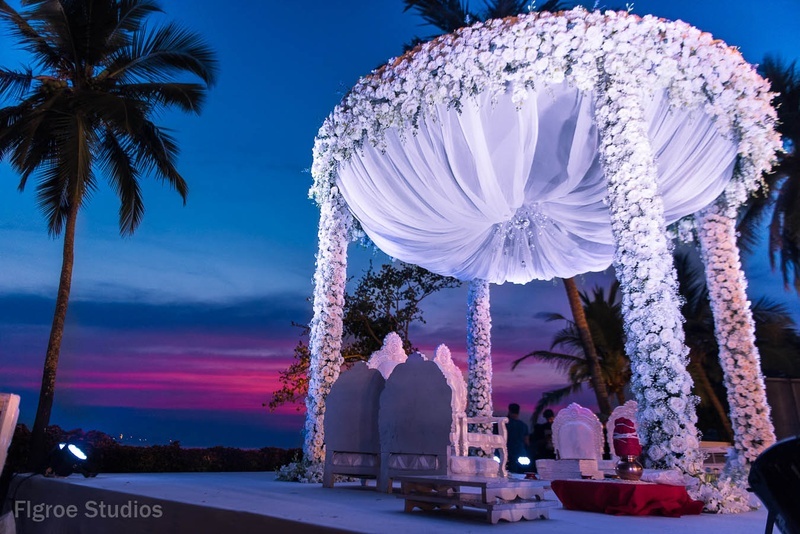 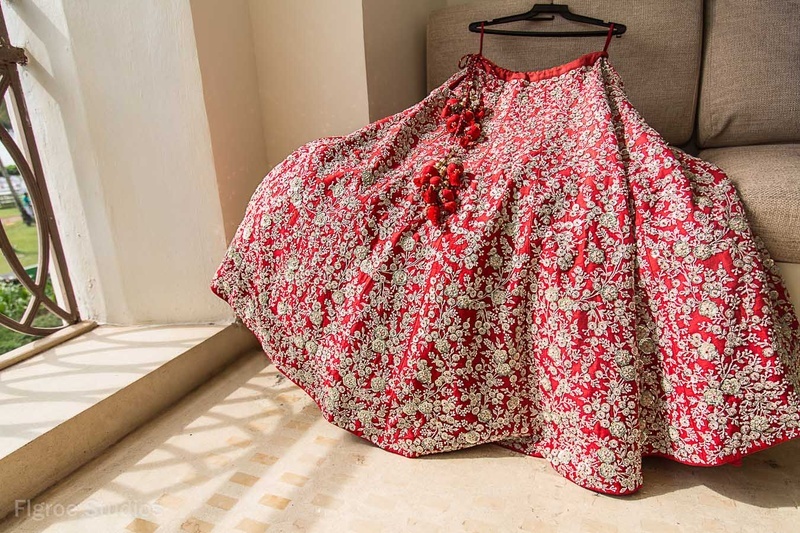 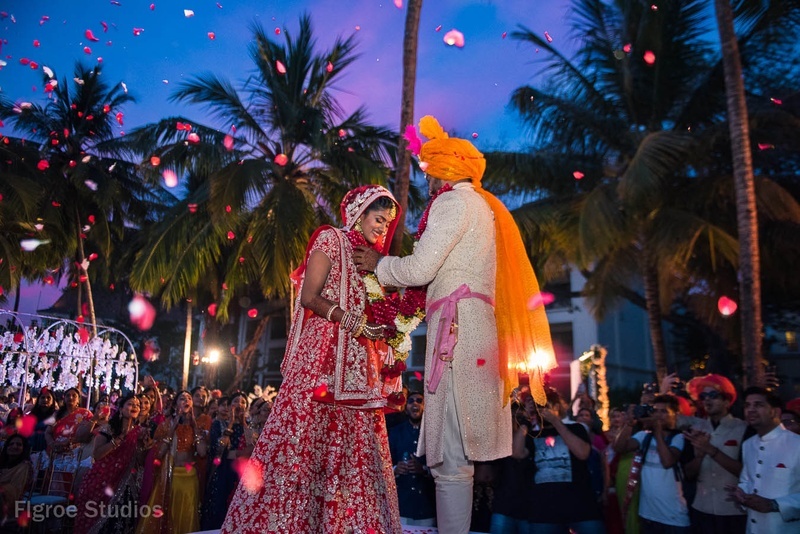 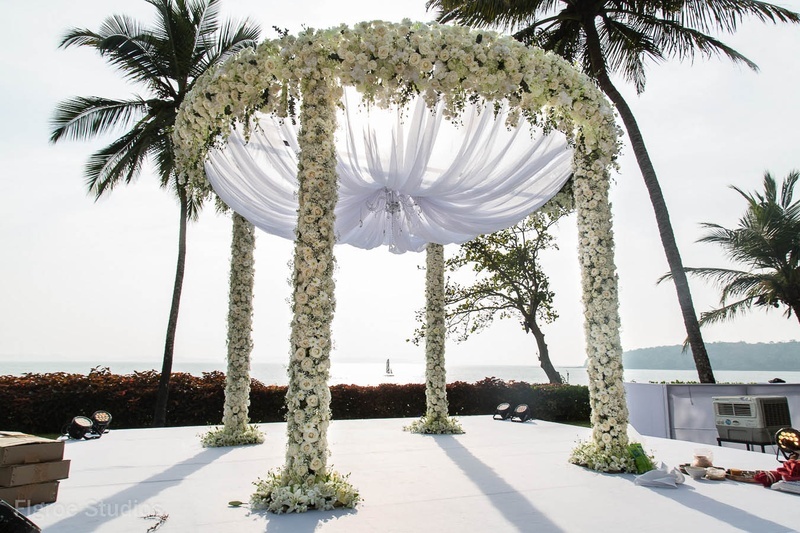 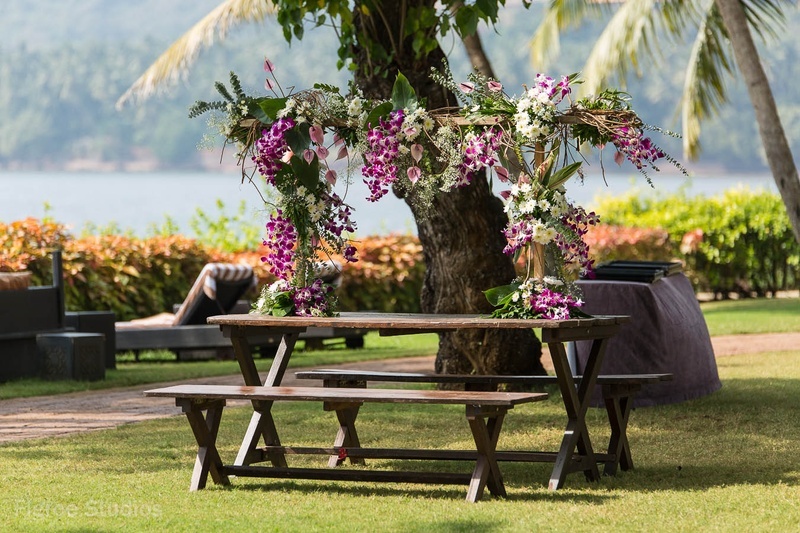 This Extravagant Wedding In Goa Will Make You Wish You Were There ! 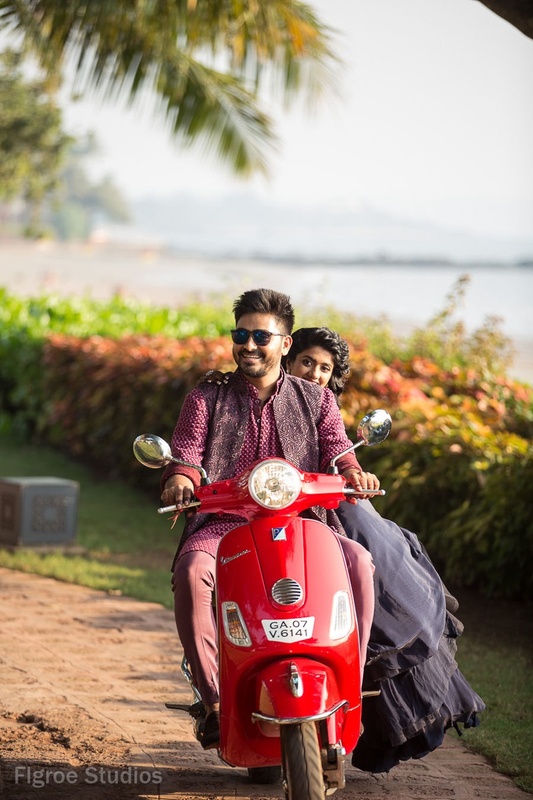 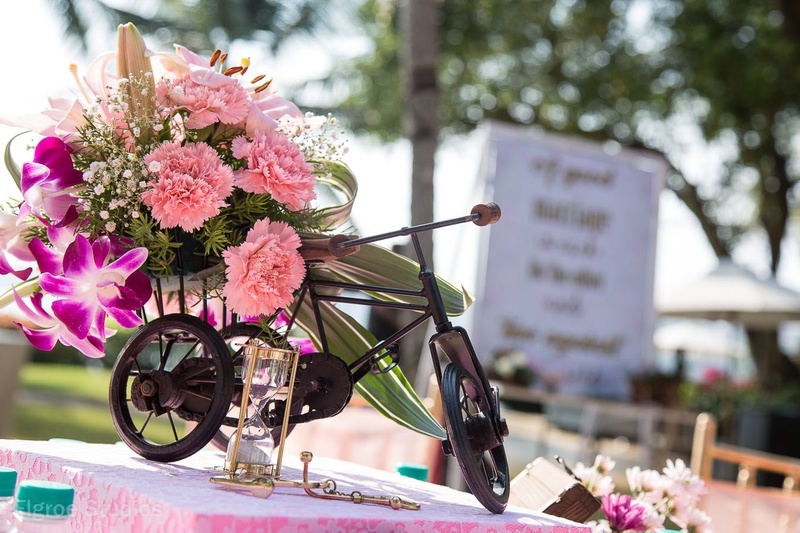 Just when we thought we had seen it all, Nikhita and Mamik bowled us over with their quirky, fun and extravagant destination wedding in Goa. 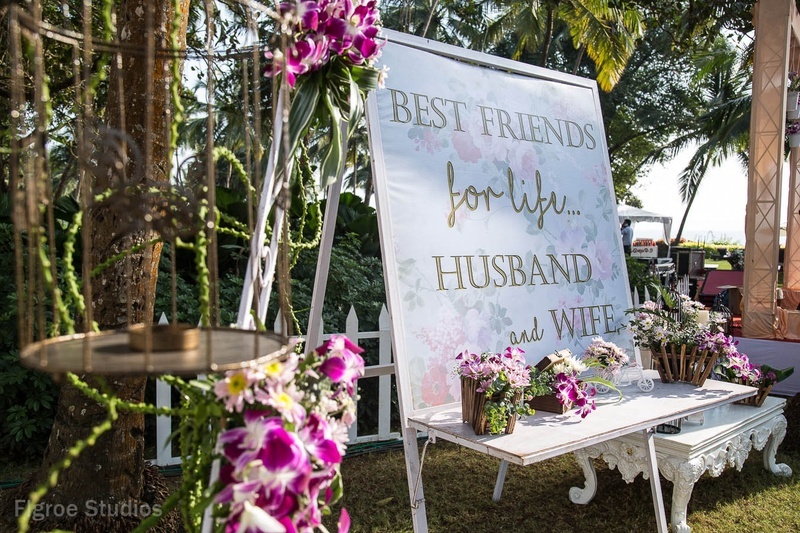 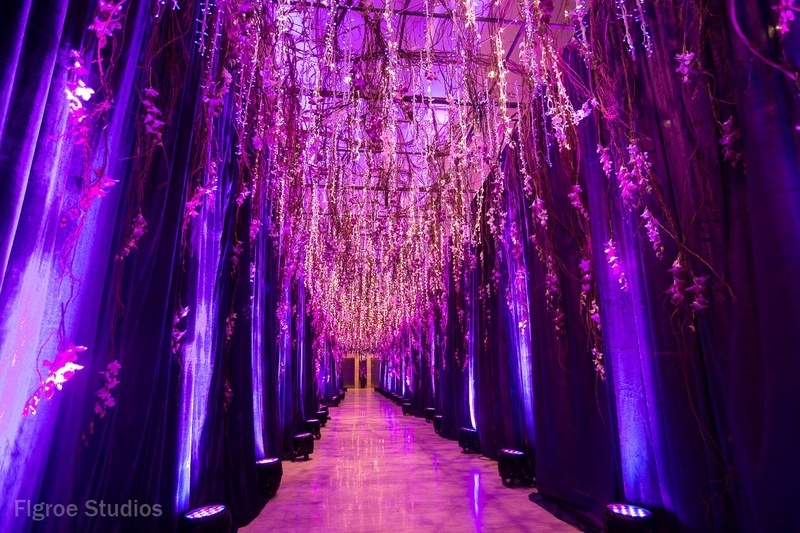 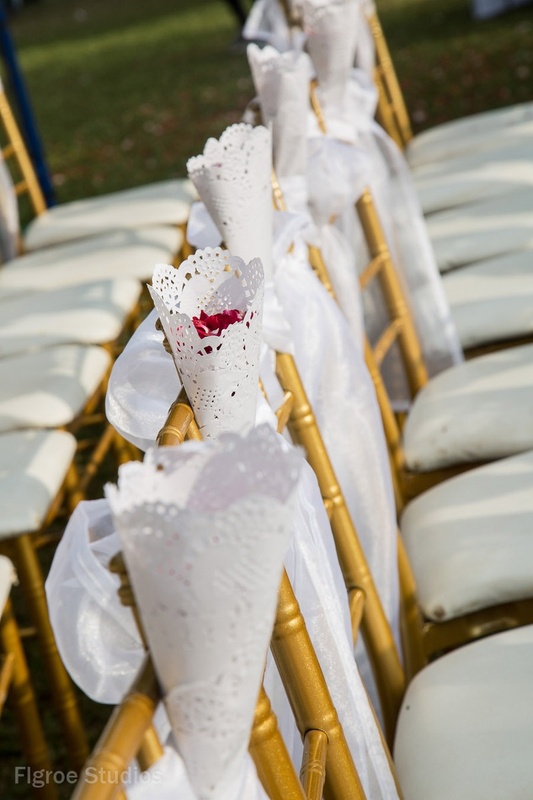 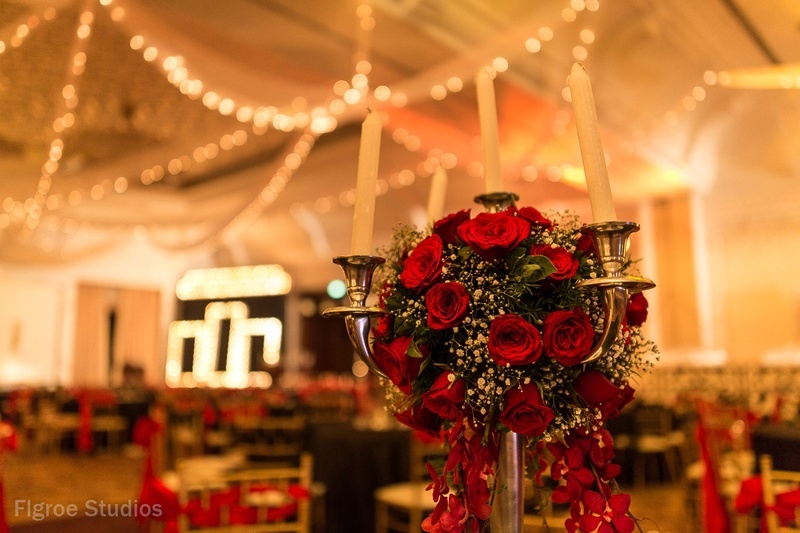 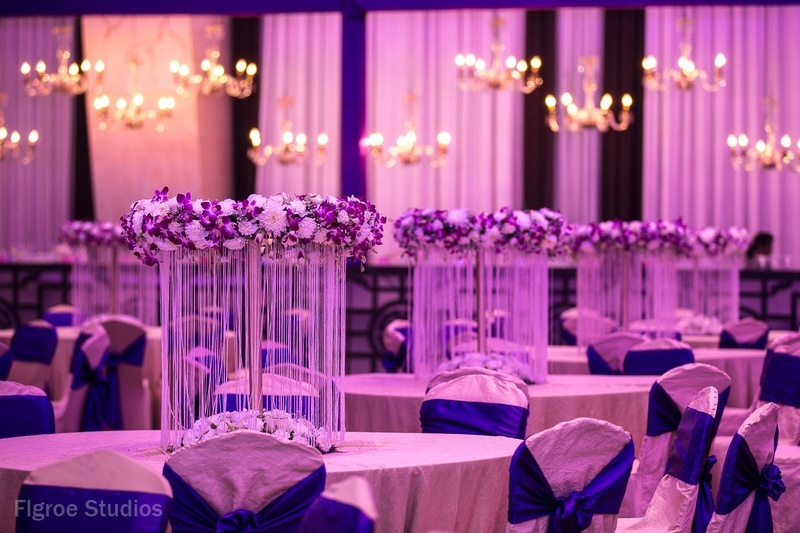 The duo knew that they wanted their wedding to be a fun affair where their loved ones would enjoy to the fullest. 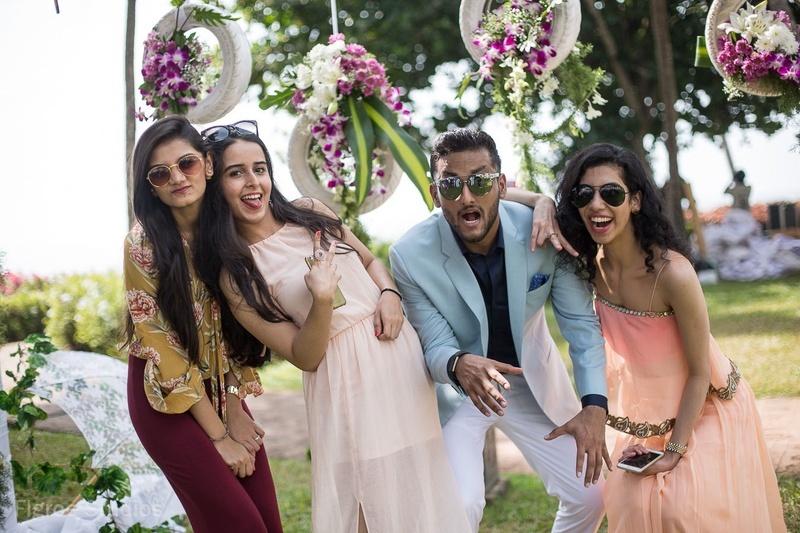 To break the ice, they started with a friendly cricket match between the two sides, which was fun to say the least. 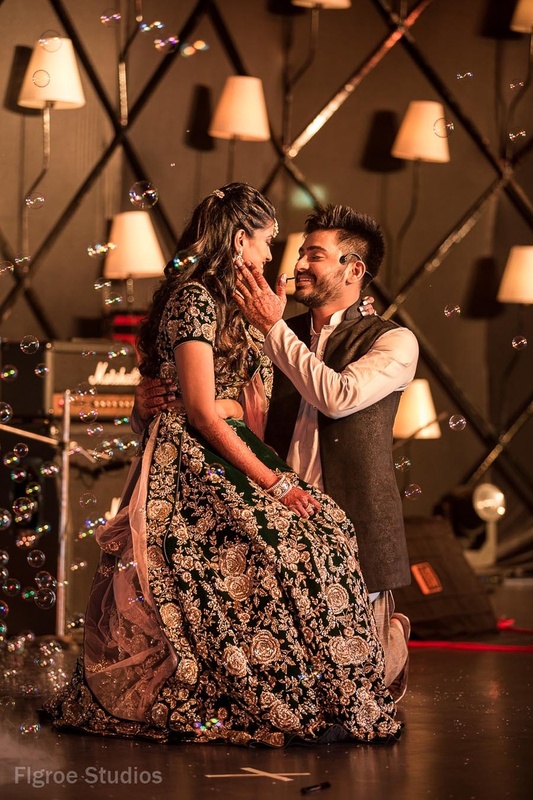 This was followed by a sangeet party where their families put up fabulous performances and the love birds exchanged rings. 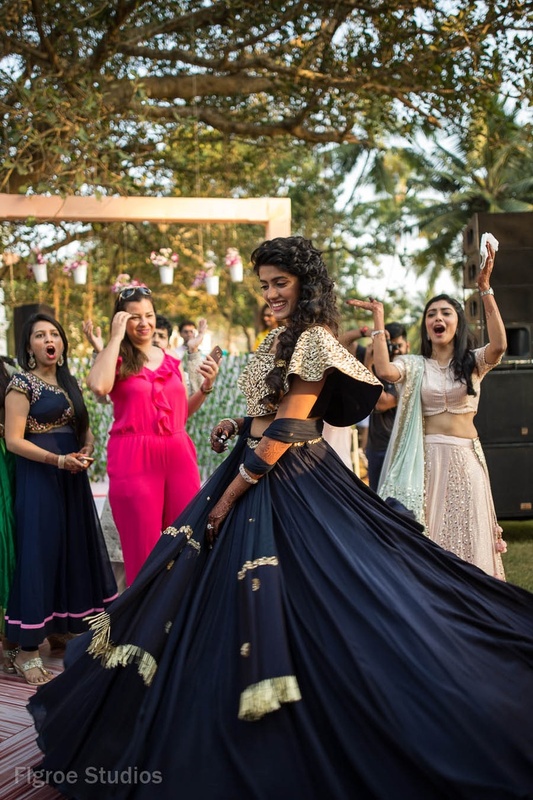 Next up was the sundown party in a garden by the sea which progressed into a rain dance party by the end of the day. 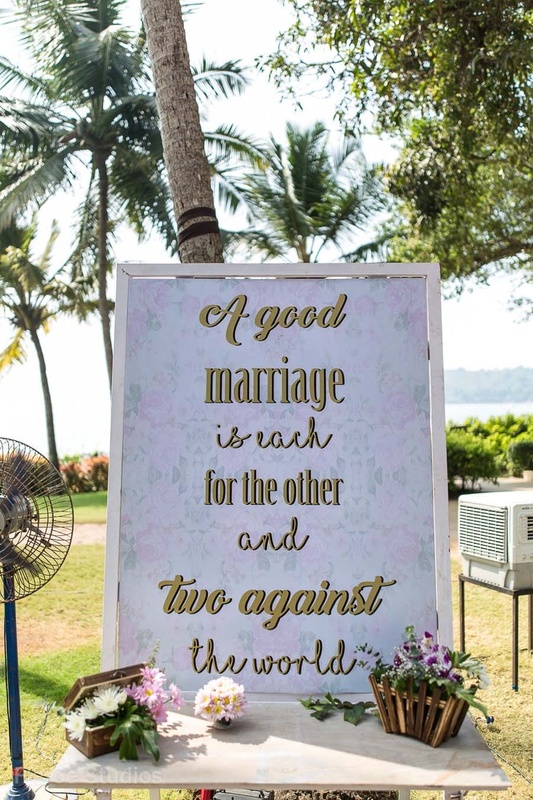 On the morning of the wedding, the wedding party was treated to a nautical themed 'sparty' which had a huge game of jenga. 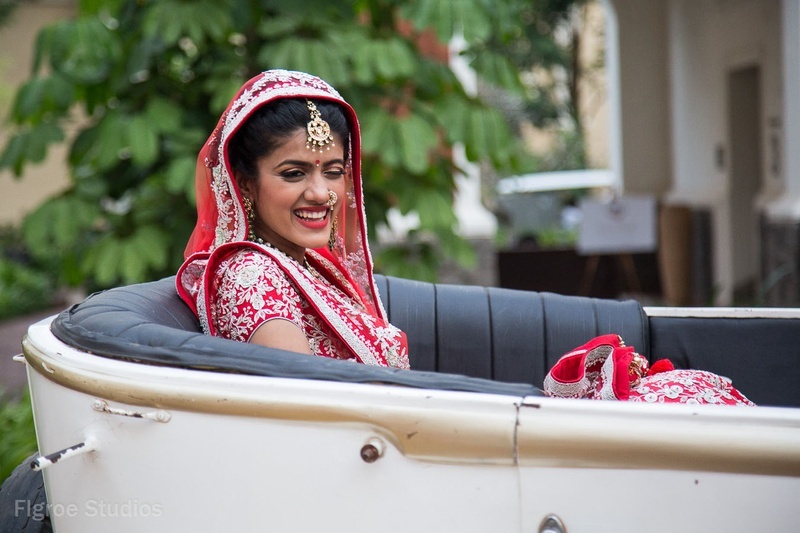 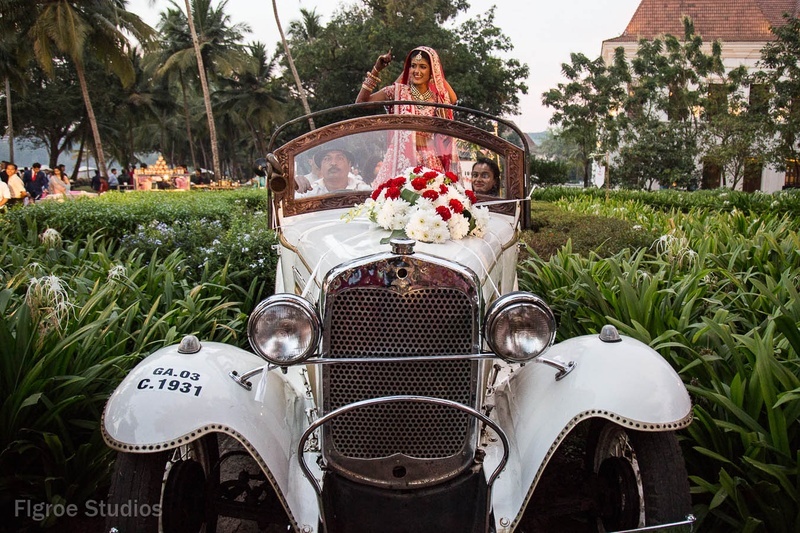 The wedding was initiated in the afternoon when the bride made the entry on a vintage car and stole our hearts. 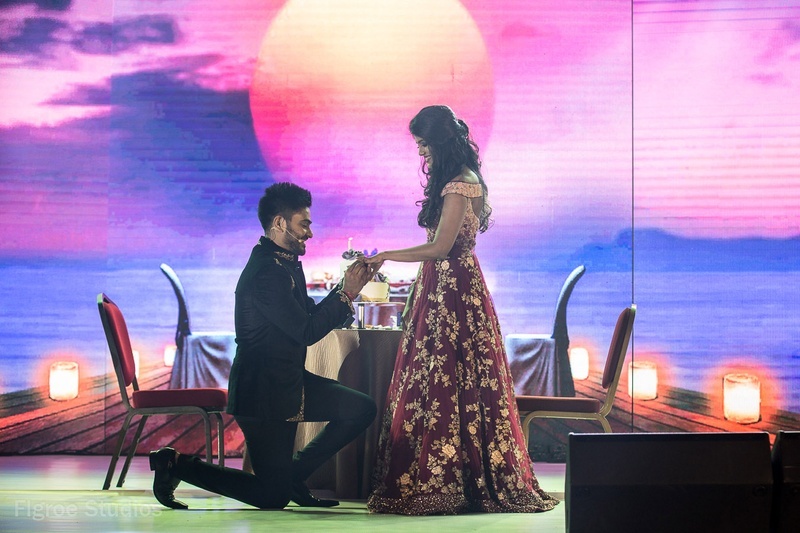 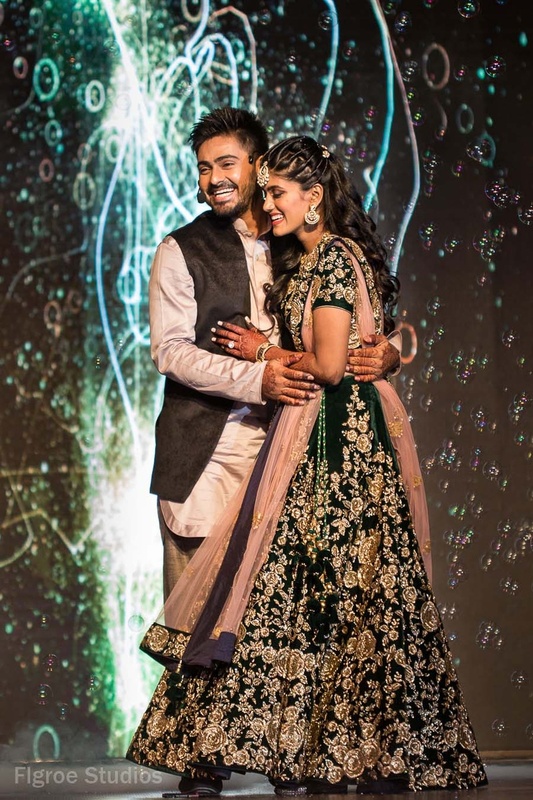 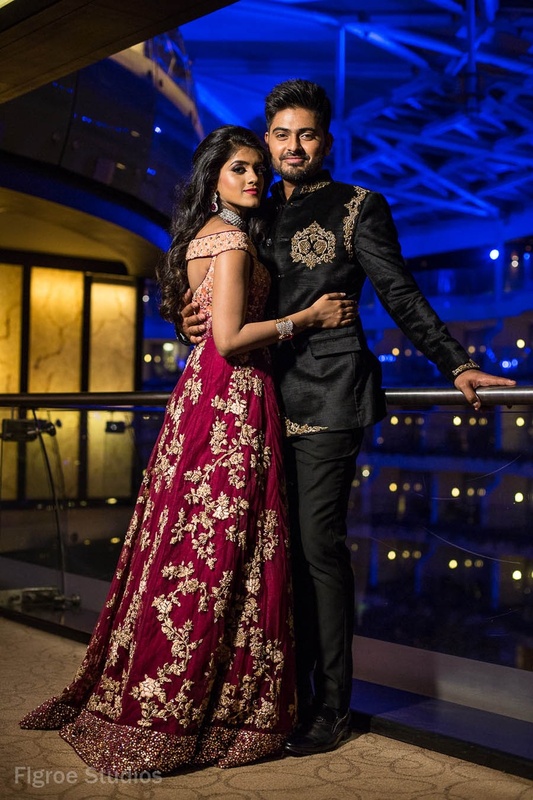 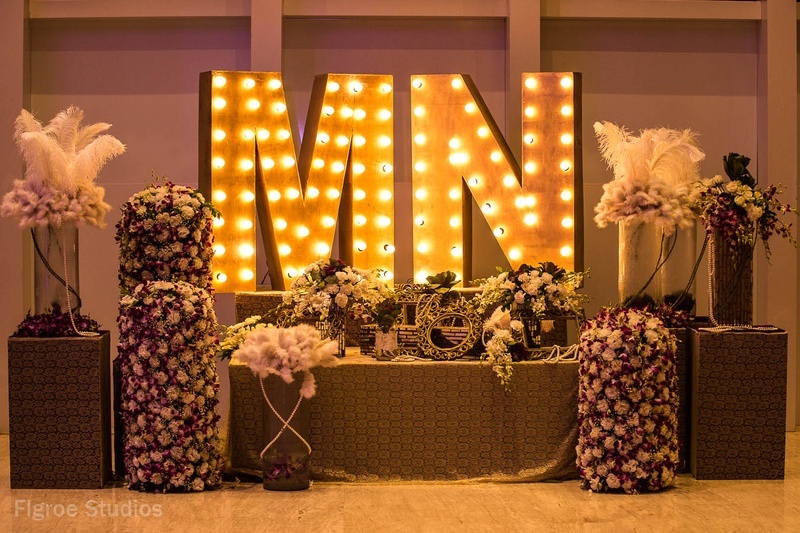 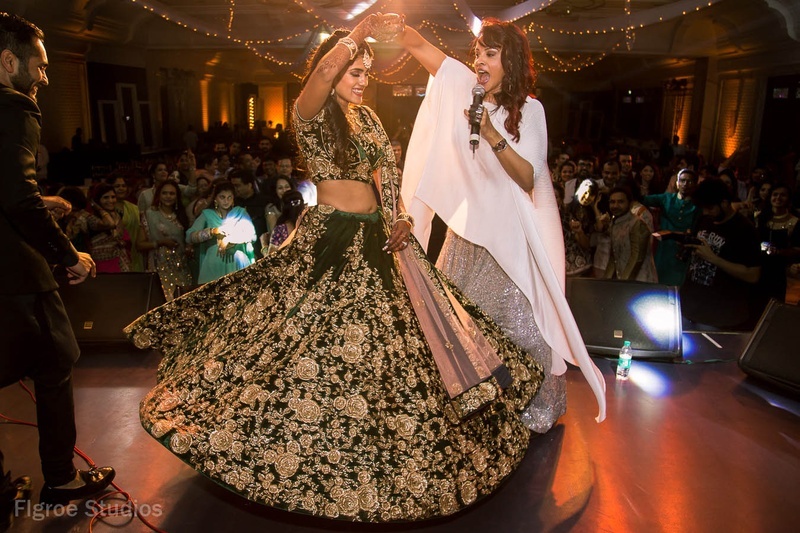 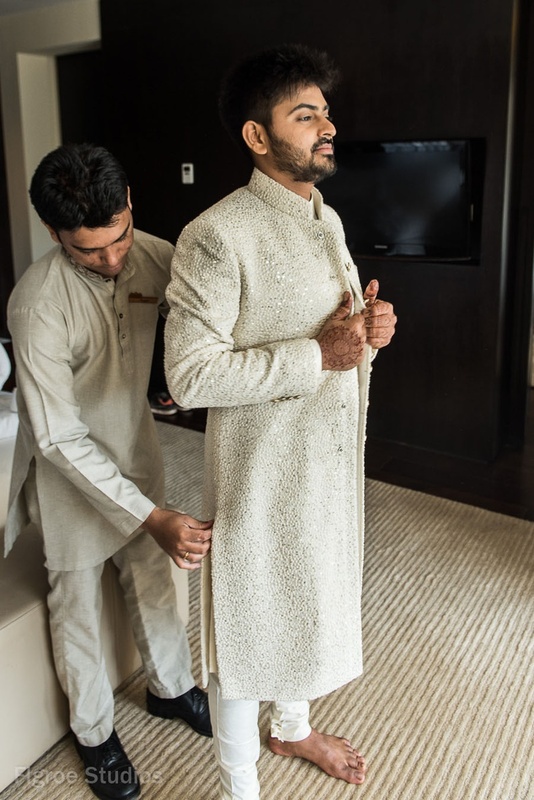 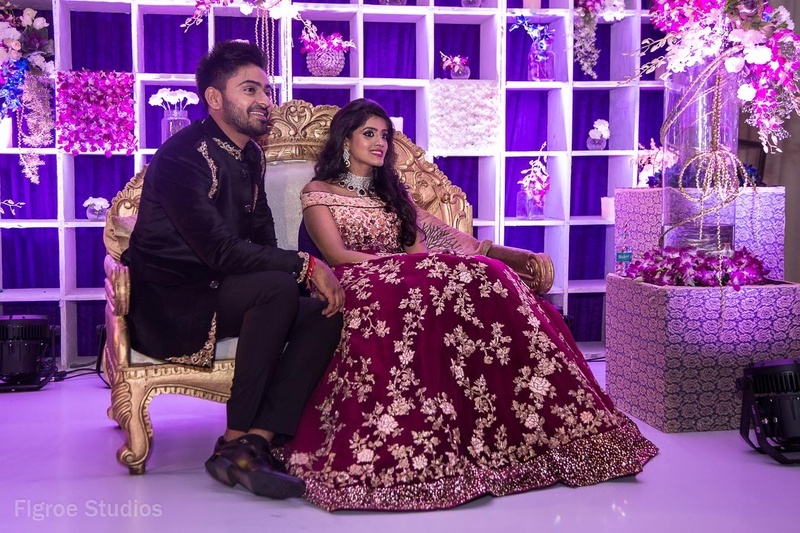 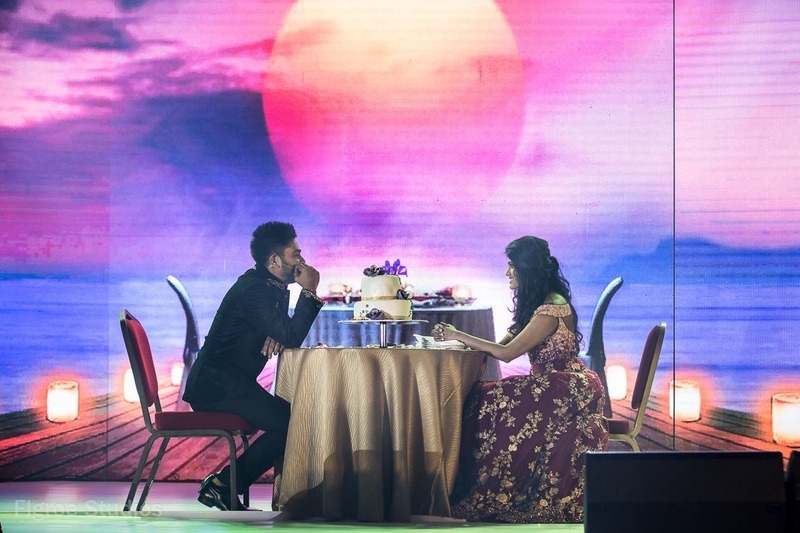 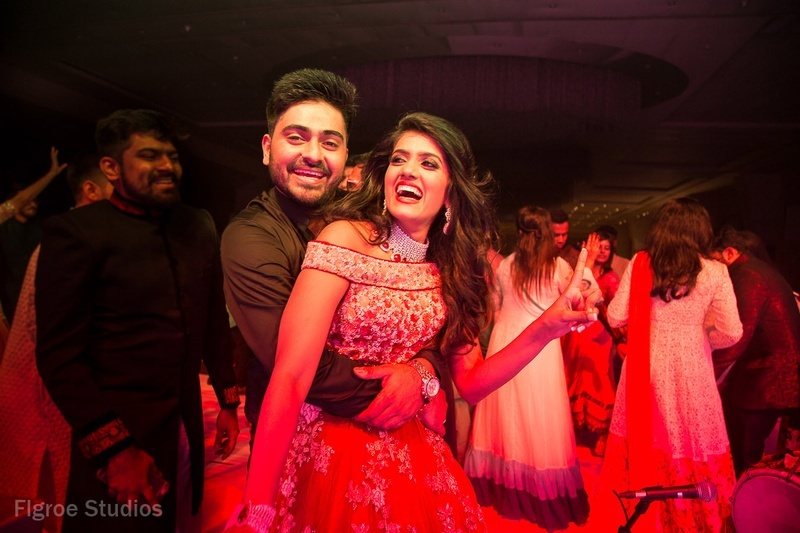 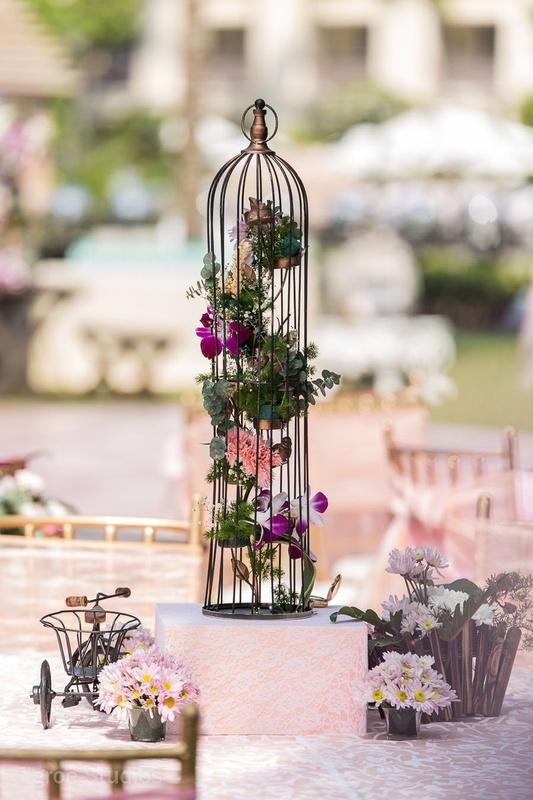 The gorgeous wedding was held against the backdrop of the Arabian Sea and the night ended with a lavish reception, replete with tear-jerking stories and happy memories. 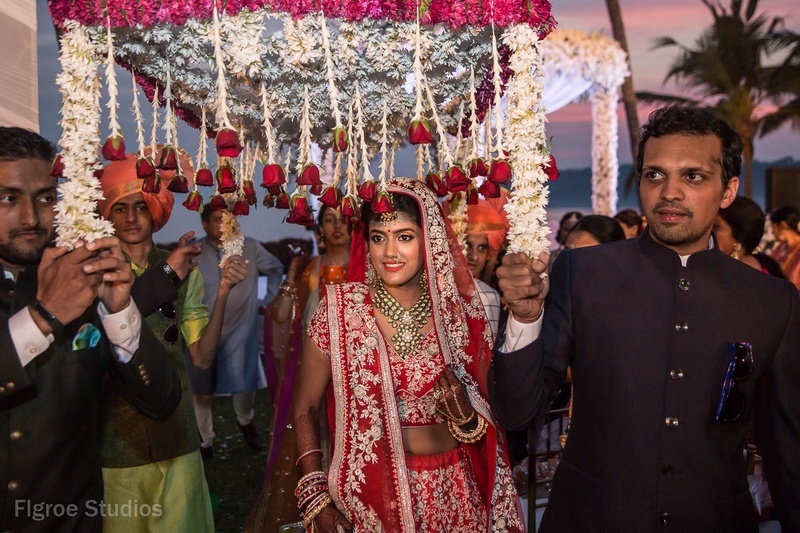 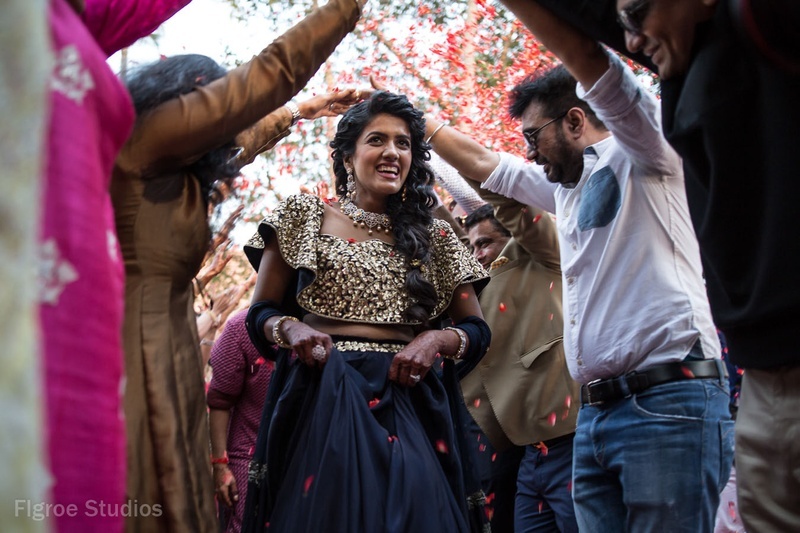 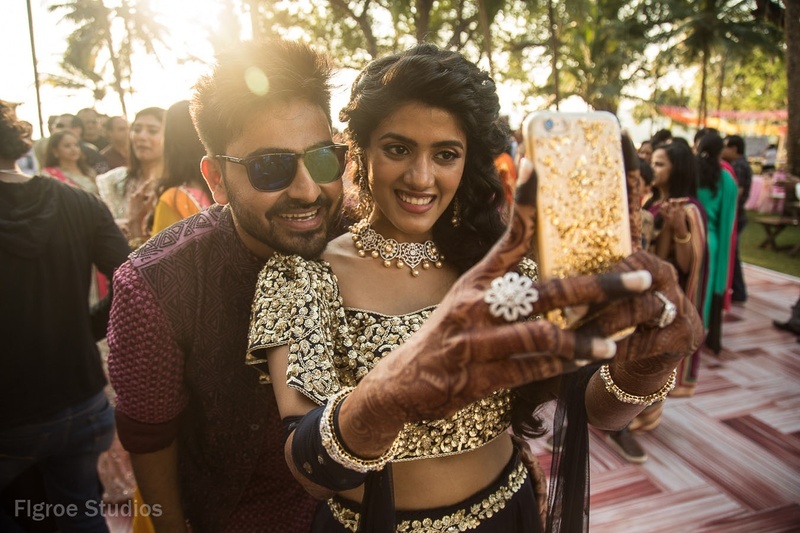 Oodles of fun, vibrant colours, plenty of smiles and hearts full of love - Nikhita and Mamik's Goa wedding is one you just cannot miss! 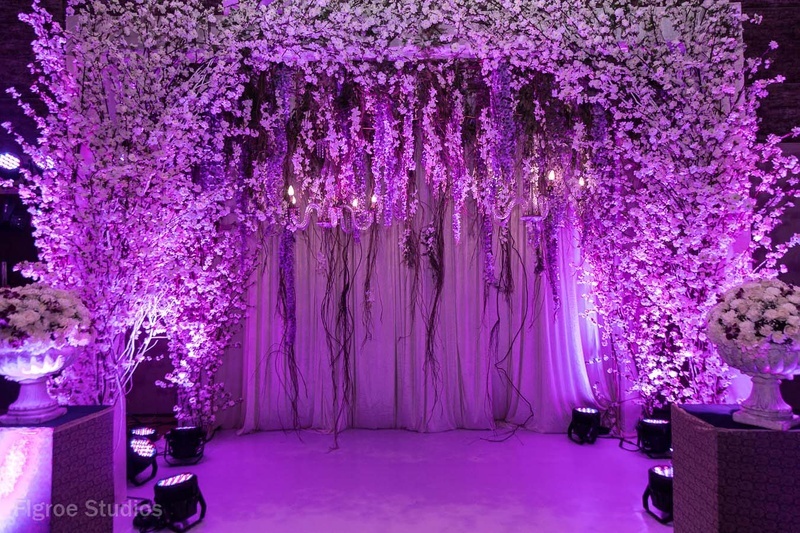 Floral decor at the entrance for sangeet ceremony.